Ceccarelli’s jazz is mature and incisive; this record… is among the most intense and convincing works that we’ve happened to listen to in recent times. Marco Crisostomi, Italian magazine “Audio Review”, 2012. 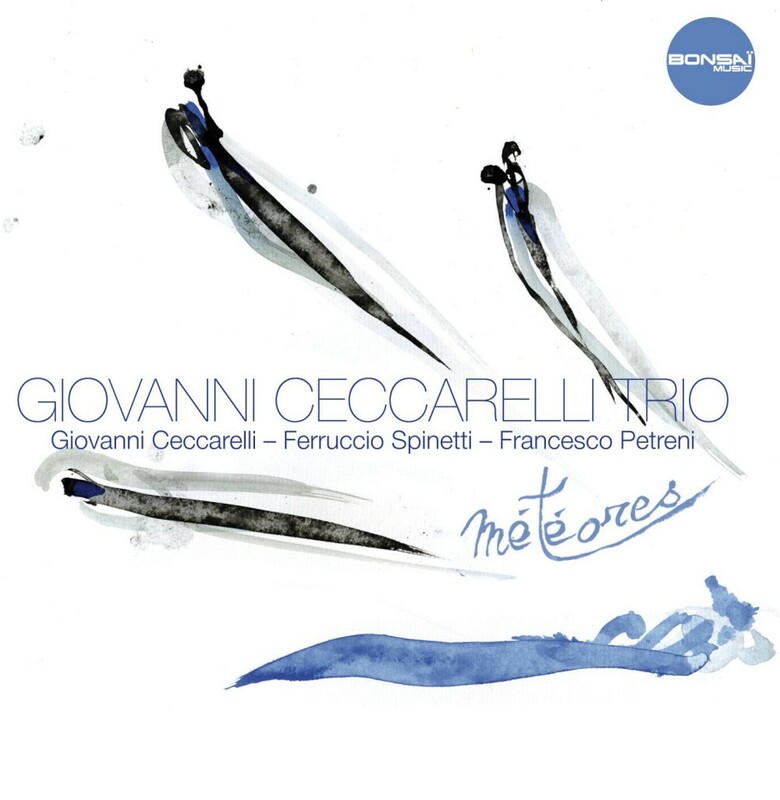 “Météores”, Italian jazz pianist Giovanni Ceccarelli’s first work as leader of a trio, is a masterpiece, beautifully elegant, and rich in emotions. Japanese website “HMV Online”, 2011. Giovanni Ceccarelli shows again to be a skilled composer, an excellent performer, a passionate musician and a modest poet. As matter of fact, as this record gets to the end, the only possible thing to do is to press again the ‘play’ button. Pietro Scaramuzzo CD, Italian website “Extra! Music Magazine”, 2011. The compositions contained in ‘Météores’, the musicians’ complicity and virtuosity call for the strongest emotions. It is an album that makes you dream. French national radio FIP, 2011. Fred Delforge, French website “ZicaZic”, 2011. Jacques Lerognon, French magazine “Nouvelle Vague”, 2011. Giovanni Ceccarelli is a pianist of rare sensibility and elegance. Radio program “Ondes Noires”, 2011. With ‘Météores’, (Giovanni Ceccarelli) presents us a jazz full of space and suspending time. The album includes 9 originals, but also 3 classics, among which stands the beautiful ‘Chega de Saudade’. Sublime. Cyril Cournoyer, French magazine “Femina”, 2011. Massimo Nunzi, Italian website “Linkiesta”, 2012 – CDs “Météores” and “InventaRio incontra Ivan Lins”. Massimo Nunzi, Italian website “Linkiesta”, 2011: CD “Météores”. Paola Francesca Caselli, Italian website “100 Interviste”, 2011 – CDs “Météores” and “InventaRio incontra Ivan Lins”. French website “Qobuz Magazine”, 2011 – CD “Météores” (podcast). “Météores” was awarded as one of the best 11 instrumental jazz albums in 2013 by French radio program “Birdland” – Radio Alpa. “Météores” was awarded with “Sélection FIP” for the whole month of June 2011 at French radio FIP. “Météores” was awarded with “Sélection HM Suisse” by Harmonia Mundi Switzerland, 2011. “Météores” has been presented at radio broadcasts “Brasil” – Radio RAI 1, “Brasil: Suoni e culture dal Mondo” – Radio RAI 1, “Lo Stato Interessante” – EcoRadio and “Jazz a Nota Libera” – TeleRadioStereo 2 in Italy; “Summertime” – France Inter, “Les Invités d’Arièle” – France Musique and “Les 20h de TSF” – TFS Jazz in France.